The Cellular Memory is the complete blueprint for your existence. It is the energetic expression of you as a holistic being. The labels "mind," "body" and "spirit" are artificial labels that exist to make it easier for you to comprehend your multidimensional existence on earth. Each point within your cellular memory contains all the information of the whole. This information is infinitely accessible to each and every cell of your body. If you magnify your cells down to your atoms, you would see that you are made up of subtle bundles of "info-energy." This info-energy is comprised of physical, mental and emotional data that comes from all of your life experiences, genetic heritage, and past generations. 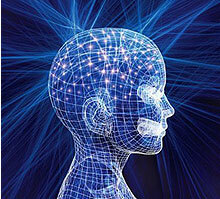 Nothing we experience escapes being imprinted into our Cellular Hologram in the form of a cell memory. What we commonly refer to as "The Cellular Memory" is the collective energy field generated by these individual cell memories. It operates behind the scenes of our subconscious mind. There is anecdotal evidence with organ transplants in which the recipient has reported to have developed new memories or habits after receiving an organ transplant. The Cellular Memory pre-disposes or, "programs" you to perceive and behave a certain way as thoughts and feelings are made manifest within your consciousness. To use the analogy of a computer, the holistic beingness is the hard disk, or storage disk. The Cellular Memory is the database on the storage disk. The files within the database are the cell memories. It can be stated that everything that has ever happened to us is recorded in the cells of our body similarly to files being stored within a computer. In this way, the Cellular Memory is a bio-computer that influences our relationships to everything and anything that is happening. It affects the way we perform routine tasks and how we react to stress and handle emotional challenges in our present circumstances. Stored within the Cellular Memory are all the conscious and unconscious patterns of unproductive behaviors that don't allow us to feel well, happy, and healthy, attain our goals and fulfill our destiny. By default, your body is built to support health, harmony and connection between all parts. So why do we get sick, develop a disease or illness that won't easily go away? If our bodies are meant to support vitality and healing then why doesn't it just happen right away? The simplest answer, in our experience over the last 20 years, is that the Cellular Memory by nature contains both Positive Emotional Charge (PEC) and Negative Emotional Charge (NEC) that is constantly flowing and influencing our state of mind and body health. The PEC is our soul's birthright. It can be described as an energy field of life force that is free flowing, expanding, peaceful, non-fearful, whole and alive beyond words. The NEC is our human condition. It can be described as an energy field of life force that is contracted; held as unprocessed traumatic experiences, negative beliefs about ourselves and others, suffocation, fear and any emotion that is a derivation of fear such as guilt, grief, shame, embarrassment, resentment, anger, etc.. We refer to the NEC's collective energy field as the Pain Body. When the NEC becomes disproportionably higher than the PEC, this leads to massive dysfunction in the human body-mind system. Candace Pert, former Chief of the Section of Brain Biochemistry of the Clinical Neuroscience Branch at the National Institute of Mental Health, studies health influences at the neurochemical level. She noted recently that "repressing emotions can only be causative of disease. Failure to find effective ways to express negative emotions causes you to 'stew in your own juices.'" Day after day, this chronic immersion in negativity is what appears to produce harmful influences on health. The key, according to Pert, is found in complex molecules called neuropeptides. The brain contains about 60 different neuropeptides, including endorphins. These neuropeptides are the means by which all cells in the body communicate with each other. This includes brain-to-brain messages, brain-to-body messages, body-to-body messages, and body-to-brain messages. Individual cells, including brain cells, immune cells, and other body cells, have receptor sites that receive neuropeptides. The kinds of neuropeptides available to cells are constantly changing, reflecting variations in your emotions throughout the day. The kind and number of emotion-linked neuropeptides available at receptor sites of cells influence your probability of staying well or getting sick. Viruses use these same receptors to enter into a cell, and depending on how much of the natural peptide for that receptor is around, the virus will have an easier or harder time getting into the cell. To put it simply Candace said, "The chemicals that are running our body and our brain are the same chemicals that are involved in emotion. And that says to me that . . . we'd better pay more attention to emotions with respect to health. Under the influence of massive amounts of contraction, our cells begin to function inefficiently." The emotional charge resulting from the accumulation of NEC is blocking the receptor sites of your cells from receiving the message to upkeep basic functions. They can no longer perform the routine tasks of producing proteins that carry out the basic tasks of keeping the body in a perfect state of health. It isn't that disease and imbalance is created by our cells but rather in the "absence" of balance, disease and imbalance is created and experienced. Even with a "strict", "proper", or "ideal" diet, nutrients can no longer be assimilated efficiently into the body. This is an interesting fact since so much emphasis has been placed on the importance of diet and exercise as the keys to eliminating and preventing toxicity in the body. In many alternative practices, there has always been a credibility and acceptance of the common link between the repressed emotion and where in the body the imbalance or disease begins to manifest. According to Oriental medicine, each organ or gland has one or more emotions that influence it. 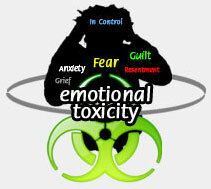 More often than not, the emotional trauma begins to manifest the imbalance in a corresponding organ or gland. With all this ancient wisdom and modern scientific research as supporting evidence, we can no longer ignore the fact that emotional toxicity plays an equal and perhaps a more dominant role in achieving optimal health. Cellular Memory Release is a focused method on accessing and transforming this emotional toxicity thereby allowing all holistic parts - spiritually, emotionally, and cellularly - to communicate and regain a state of balance. 1. Wordology is Your Biology! 2. Life is Never What You Think It Is! 3. Is There a Core Emotional Issue of Illness?